Ok, it’s true, we often get stuck in the inner city and forget how delicious the ‘burbs can be. But sometimes a bit of a road trip out to Manly or Wynnum is in order for a dining experience by the bay. A weekend brunch or an evening feed followed by a walk along the sand is reason enough to make the commute out to Brisbane’s east side eateries. From Italian cuisine to classic fish and chips, here are a few of our favourites. If loving oysters is a crime, you’d better lock us up – because we’re all over Shucks Bar’s. 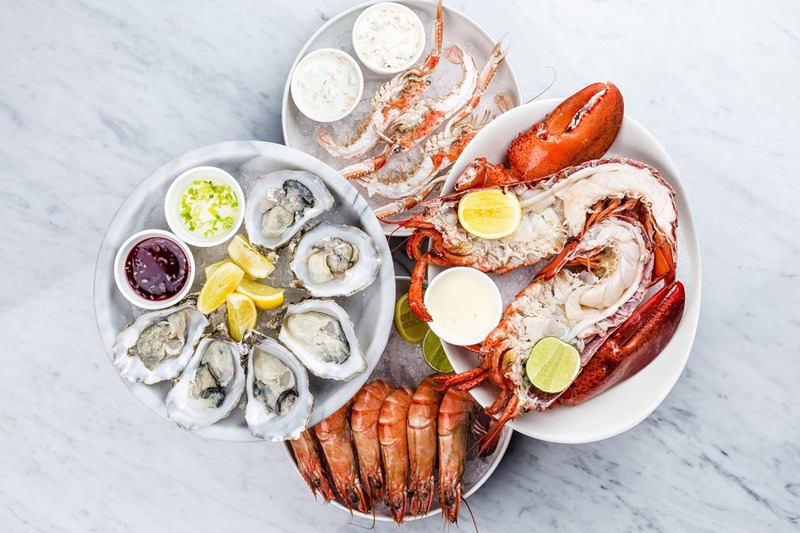 Manly’s best, this gorgeous bar and kitchen serves up freshly shucked oysters like there’s no tomorrow, with a range of el natural options or grilled oysters with flavours like bourbon and chipotle, kimchi and shallot and herb and garlic. If oysters don’t catch your fancy, indulge in roasted cauliflower, grilled octopus and kingfish steak alongside other delectable eats. Hungry? Get your feed on at Finn’s Fish House, with a plate or two of their calamari, sea scallops, burgers and fresh fish. As well as specialities like grilled octopus and Greek salad or prawn and avocado salad, their share platters are perfect for the whole family (or just you, we wouldn’t judge). Slightly off the main strip at Manly is Cambridge Lane Espresso. In a quaint space with cast iron tables waits a well thought out breakfast menu and a fresh dish of water for any 4-legged family members along for the drive. Pair a smooth coffee with the smoked bacon, haloumi, rocket and tomato relish on sourdough for the ultimate start for a day by the bay. Frenchies Cafe is another pet-friendly establishment that welcomes all guests and furry friends alike. The café’s dog-loving owners clearly got their inspiration from their very own adorable French bulldogs, with drinking bowls and special treats on offer for your pets. Of course, there’s eats for everyone, with a range of mouthwatering (down, Fido) burgers including the Frenchie’s burger with a homemade beef patty, bacon, cheese, caramelised onion and beetroot on a brioche bun. We feel that food and a view is as winning a combination as wine and seafood. Wilson’s Boathouse has a massive waterfront deck with sliding glass panels so as not to detract from the spectacular views the bay. 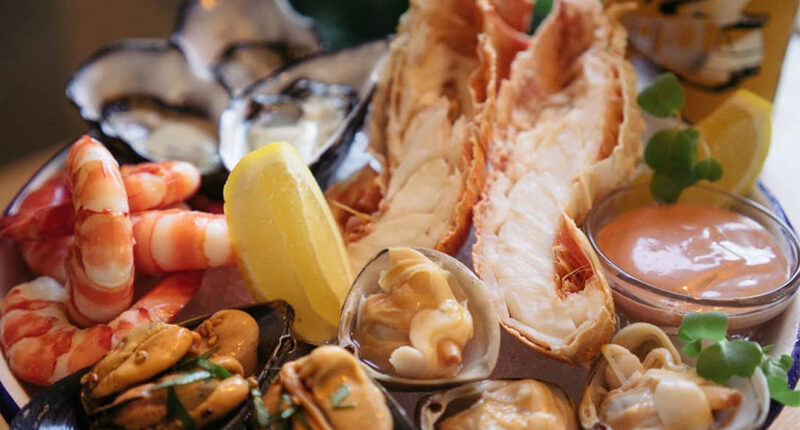 Whether you share a seafood platter, indulge in a spaghetti marinara or treat yourself to fresh oysters and scallops, seafood + a stunning view = perfection. Like the name, the food gets straight to the point with flavoursome and vibrant dishes. Serving authentic Thai, Thai Cuisine is a go-to for plates of Thai chicken, prawn paradise, tamarind prawns, ginger fish, chicken satay and curry – and don’t even get us started on their laksa. You’ll be back for more, it’s just a matter of Thai-m. The instructions are simple from the owners of Manly Village Pizzeria: gather your friends, grab a bottle of vino and relax at their ‘little Italian eatery.’ Sounds good to us! Breakfast, lunch and dinner are all served in the al fresco eatery with food baby-inducing pizzas, pasta, gelatos and homemade Italian desserts. But probably do the carb-loading after you’ve hit the beach. It’s the best coast between the coasts! If you find yourself sea-side, splash out!